IRON MOUNTAIN — Bass fishing continues to be good and anglers are getting some walleye in deeper water as the dog days of summer linger through mid-August. “Some trout fishermen have gone out, even in the hot weather, and they’ve had some success,” said Doug Whisler at Whisler Outdoors in Florence, Wis.
At Whispering Pines Outpost in Breitung Township, John Grier reported good success for smallmouths on the Menominee River, while some local lakes were yielding perch. Crappies have been hitting live minnows and jigs, according to Whisler. Northern pike and musky fishing has been fair, he said. For bass, the Michigan Department of Natural Resources suggests casting floating lures near weedbeds, logs or big rocks. Wisconsin anglers were targeting walleye on the west and east shores of Green Bay with parking lots filled at Geano Beach and Suamico, said Megan Radtke, DNR fisheries technician at Green Bay. 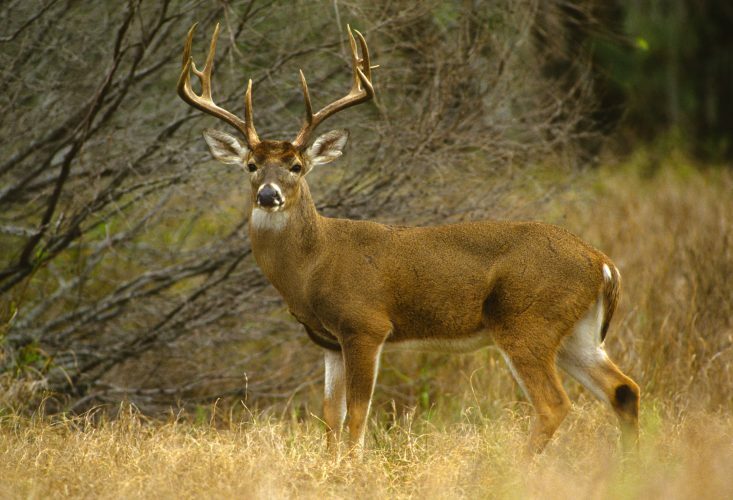 Grier advised that this year’s Michigan falling hunting digests won’t be available until September, due to changes brought on by chronic wasting disease in the Lower Peninsula. Lac Vieux Desert: Had good catches of bass, pike and panfish. Those chasing panfish need not go far as most vegetation was holding bluegills, perch, crappie and even some bass. Live or artificial baits will do however be prepared to do sort out the small ones. A couple smaller walleye were caught by those fishing live bait in deep water for perch. Muskie anglers have seen a few fish. Little Bay De Noc: Had good fishing as walleye anglers reported good to excellent catches in the southern waters. Breezy Point was best with most trolling a crawler harness in 12 feet. A lot of undersize fish right along with the limits of good eating size fish. Walleye were caught straight out from the Ford River and south by Round Island in eight to 21 feet. At Kipling, night anglers were trolling a crawler harness 15 feet down along the east bank. Some bigger fish were caught in 18 to 30 feet in the Minneapolis Shoals area. Good perch catches off Kipling with jumbos caught in 24 to 30 feet near the green buoy at Saunders Point. The best area was off the mouth of the Escanaba River near the ship docks in 30 feet with minnows. Pike were active and caught by walleye anglers. Good pike action near the Escanaba ship docks in eight to 14 feet or just on top of the break at the mouth of the Escanaba Yacht Harbor when trolling spoons, spinners or crank baits. No salmon to report. Big Bay De Noc: Those targeting walleye had none. Mostly smallmouth anglers again. Some of the bass have moved to deeper water making it a little more difficult to find them. Casting by the weed lines in Ogontz was still pretty good but most were too small. The action was good off Butlers Point in 10 feet and straight out to the “rock” in eight to 12 feet when casting plastics or leeches. Only a few perch were caught by bass and walleye anglers off Ogontz. Some very large fish were reported off Fairport, but the numbers were very low. Most were fishing 45 to 90 feet down in 110 to 170 feet at the Poverty Island gap but were spreading out when the fishing got tough. The area just had another fly hatch so look for steelhead. Marquette: Catch rates were hot with limit catches of lake trout taken between the white rocks and Granite Island and near Shot Point in 150 to 200 feet with cut bait, spoons in various colors along with flies and even stick baits. With surface temperatures in the mid 60’s, the coho and Chinook were few and far between. Au Train: The Wood Island Reef was good for lake trout with most boats that make the trip getting their limit. 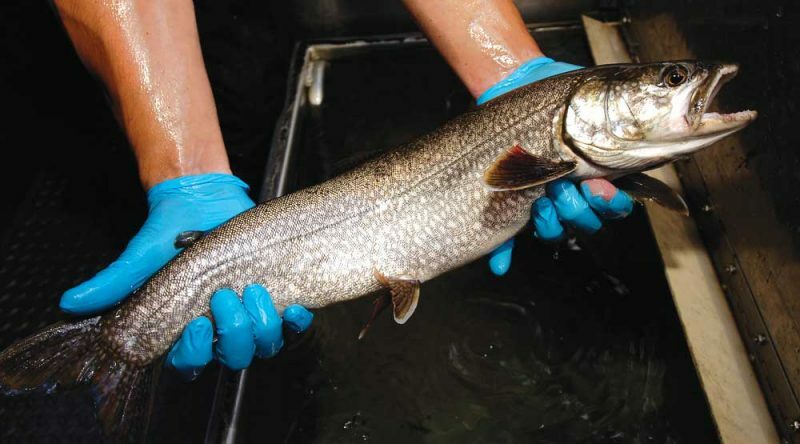 Lake trout are still being caught just north of Au Train Island but catch rates were spotty. Most were caught down deep in 130 to 200 feet. Munising: A light number of boat anglers were out targeting lake trout in the early morning or late evening. Some limit catches were taken near the bottom when trolling in the west channel, near Wood Island Reef and the east channel towards Grand Portal in 150 to 200 feet. Catch rates were slower for those jigging. Nearshore surface temperatures were in the upper 60’s to near 70 while the offshore waters were in the low 50’s. A couple coho were caught on high-lines when trolling for lake trout. Grand Marais: Boat anglers were taking some limit catches of lake trout. Manistique Lake: Those trolling or jigging found walleye in deeper water.